Looking for the best vegan bags and where to buy them? We've covered over 17 styles of vegan bags and listed several online stores that are great to shop at if you're looking for one yourself. If you're looking for a particular bag style, then keep reading. 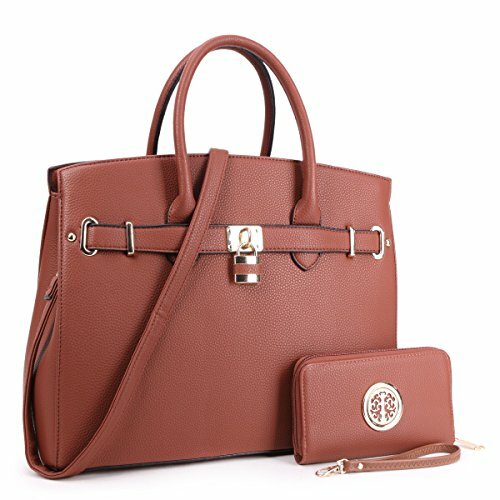 We have guides for over 17 different styles along with where you can find them..
Women's backpack purses combine purse structure with backpack functionality for a sleek, modern appeal styled with jeans, dresses and office wear. Many are convertible with attachable shoulder straps. Leather is a popular material for these convenient day bags, but faux leather is also easy to find. If you've got your eye on one that's relatively inexpensive, chances are good that it's made of synthetic leather. Designers like Kendall + Kylie and Studio 33 also offer high-end faux leather backpack purses on the cutting edge of fashion. Head over to Amazon and Target for a range of casual to dressy bags, or check out Asos and Shopbop for the latest trends and funkier looks. Mini backpacks are usually designed for women and can take the form of anything from a school bag to a backpack purse—just miniature. Like backpack purses, mini backpacks can be convertible to shoulder or crossbody bags. In general, vegan mini backpacks are made from canvas, nylon, faux leather and faux suede. Always make sure a leather-looking mini backpack (or bag with leather accents) is faux and not genuine leather. Here's a tip: sometimes bags listed online as leather are actually synthetic if you read the descriptions. Topshop, Asos and Amazon are great sources for animal-friendly mini backpacks. Vegan leather backpacks are made from synthetic leather as opposed to genuine (non-vegan) leather and can make snazzy work, school and everyday bags. Asos and Amazon are excellent places to begin (or end) your search. They come in men's, women's and unisex styles and are fairly laid-back, good for leisurely trips downtown, short hikes and relaxed work environments. The crossbody bag is, quite simply, a bag you wear over one shoulder and across your body so that it sits on the opposite hip. Men's flight bags and women's trendy circle bags with long straps demonstrate the diversity of crossbody bags. As you'll see on our list of vegan crossbody bags, faux leather, faux fur and faux suede bags of all kinds are available from brands like Express, Adidas and Guess. We like Amazon, Asos, Zappos and Shopbop for plentiful choices. Ah, the messenger bag: sturdy, practical and classic. These everybody bags are usually wide-strapped and worn crossbody-style. Some zip shut, but they most often feature foldover flaps that fasten with buckles, Velcro or metal snaps. Aside from canvas, messenger bags come in sleek faux leather from designers like Ted Baker, Peter Werth and French Connection via Amazon and Asos. There's even a messenger bag the brand Corkor sells on Amazon made of sustainable, leather-like cork (on our vegan messenger bag resource). The briefcase-inspired messenger bags are the ones you want to take to work for organization and aesthetic reasons. Tote bags are your shopping friends. They're typically simple in design, large and rectangular or boat-shaped with short straps and ample carrying capacity. Though the most basic tote bags are unisex and made from cotton canvas or polyester, they can get pretty flashy for both men and women, especially when they're made from (faux) leather and suede. Amazon has a good variety of casual to dressy choices and Shopbop has vegan totes from top designers. We'll guide you with our sampling of vegan tote bags for everyone featuring snazzy woven faux leather totes for dapper gentlemen, ladies' shimmery metallic totes for travel days and more. There are subtle differences between laptop and messenger bags—mainly internal organization and protective features like padded compartments and extra pockets for tablets, work files and smaller necessities. You can tailor your laptop bag search to fashion or utility, but lots of laptop bags combine both. Upscale vegan bag brand Matt & Nat makes chic women's laptop bags to wear with business suits and office attire. We'll introduce you to stylish vegan leather and tweed laptop bags from Revolve, TJ Maxx and Amazon. Women's bucket bags are in. They all look a little different, but they all have a bucket silhouette, and many have drawstring closures. There are tons of retailers with different spins on the chic vegan bucket bag, including Shopbop, H&M, Asos, Urban Outfitters and Forever 21. But don't forget to check Amazon for sellers that cater to the cruelty-free crowd. If you follow the Kardashian saga, you probably know the Hermes Birkin bag named after Jane Birkin. You may have also noticed that Birkin bags are not vegan, but Amazon is a treasure trove of vegan Birkin-style bags that won't disappoint. Birkin-style bags are small to medium-sized, squarish handbags embellished with faux leather tabs and metal locks. They're the ultimate bodycon dress and belted jumpsuit accessories. Because Birkin bags are historically made from exotic animal leathers, you'll find cruelty-free, vintage-inspired versions in faux croc, ostrich and alligator leathers on our vegan Birkin bag list. Hobo bags are quintessential bohemian shoulder candy. You'll find them slouchy, crescent or square-shaped and commonly made for carrying all your essentials and then some. Hobo bags are mostly geared toward women's fashion and can be used for work or the weekends depending on the the individual bag. From casual to glam, catch all of our picks from Anthropologie, Topshop, Asos, ShoeMall and Amazon on our vegan hobo bag guide. What should a good diaper bag have? For starters, insulated bottle and snack pockets, a spacious interior and, of course, a tasteful appearance. Babymel makes gorgeous vegan leather bags for jeans and bomber jacket days, and don't miss The Honest Company's faux leather diaper backpack for savvy moms and dads on our list. Try Target, TJ Maxx and Amazon for the most affordable diaper bags and Zappos and Matt & Nat for designer bags that you'll probably want to use for everything, every day. If you don't have a bag that's in between a backpack and full-on luggage, get yourself a weekender that's the right size for a few days' worth of outfits and accouterments. Weekender bags are often unisex, and even the ones marketed specifically to men and women might be totally gender-neutral. Whether you're on a quest for a smart weekender tote or duffel bag, we've got you covered. Fringe is the thing for boots and bags. While there's no reason to assume that men's bags aren't ever fringed (decorated with tasseled edges), it's women's bags that tend to be advertised as such. There are tons of women's fringe bags at Amazon, Anthropologie, Nordstrom Rack and Express that present a whole world of fringed goodies in faux leather, sequins and studs. Get your vegan cowgirl boots and biker jackets ready. When a bag is referred to as a boho bag, it's because it has characteristics generally considered to be bohemian. Once you get the gist of the boho vibe, you can explore sites like Amazon, Anthropologie, Express, Free People and Asos for beautiful vegan options. Feel free to reference our vegan boho bag selection featuring all these retailers and others. From petite pouches to toss into your purse to multitiered travel cases, makeup bags are a must for keeping your cosmetics and makeup brushes neat and organized. Some makeup bags are simple fabric containers, but brands like Lancome and Shany make faux leather train bags and leopard print travel kits with glamour and functionality for days. Look for them on Amazon, but do peruse Zappos and Target for vegan makeup bags, too. Saddle bags were originally (and still are) bags to hang on either side of a horse, but we think you're probably interested in saddle purses for women. A saddle purse is U-shaped and designed with a foldover flap that's traditionally fastened with a buckle. It's also customarily made of leather, but we'll point you in the direction of faux leather saddle bags for work or play from Anthropologie, Asos, Amazon and Target. Saddle bags vary widely in terms of composition and flavor, but the Western types make great additions to prairie dresses and bohemian textiles. Travel bags are essentially any luggage transported by shoulder strap, top handles or wheels. You might need an overnighter or a carry-on bag that satisfies major airline regulations. Whatever your requirements, there's a vegan travel bag out there just for you. Asos, Amazon, TJ Maxx and Zappos have plenty of duffel bags, rolling luggage pieces and carryalls to suit virually anyone's taste. As always, allow us to help you find your perfect travel bag with our vegan travel bag compilation.